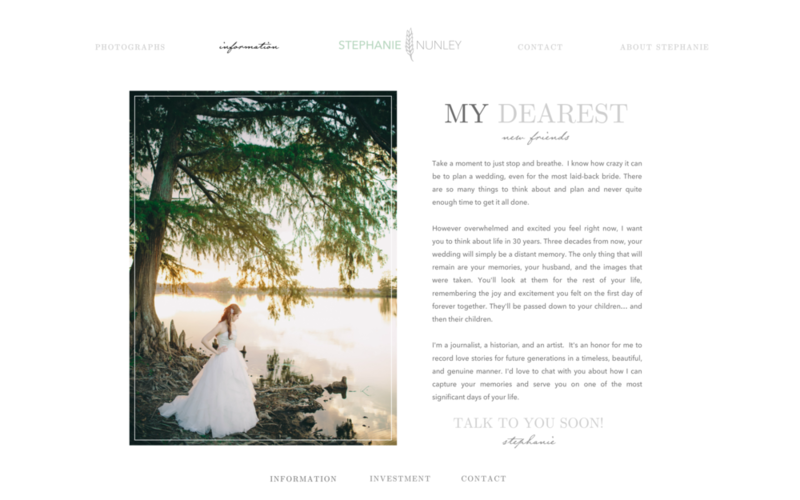 Yesterday I launched my website for the 2014 wedding season, and it got me to thinking about the history of my brand and how far I've come in the past two years. In 2011, I created my first website. It was a huge assignment for one of my design classes, and since I wasn't a photographer at the time, it included my entire portfolio from a every genre of work I did - digital, design, photography, ceramics, painting... everything. Although my primary motivation for creating this website was my grade in the class, I also got REALLY into it and did a ton of research. It was during the creation of this site that I stumbled across Jasmine Star talking about branding... and my life was changed forever. :) I've understood the concept of having a strong brand since before I knew how exactly it would apply to my life, and I think that has helped me more than anything on this journey. My "business name" at the time was "just simply stephanie"... mostly because I already knew that I would marry Lucas at some point and I wanted to use my married name in business. :) But I would have NEVER told you that at the time. I was going for a whimsical, fun, and feminine feel. The shape in the corner was my "logo".... two buttons and lace (some of the most feminine objects I could think of) shaped like an "s"............and also like a pile of poop. Because that's how I roll[ed]. As you can see, there was really no focus or direction to the website. It was simply showcasing EVERY single medium I had done any sort of work in. But it was a good representation of my art portfolio at the time, so I was happy with it. This was my "wedding" portfolio. Half of those images are from a high school senior prom and the other half are from the first wedding I ever photographed. Around a year and a half ago, I became a showiteer and designed a website through the showit software. 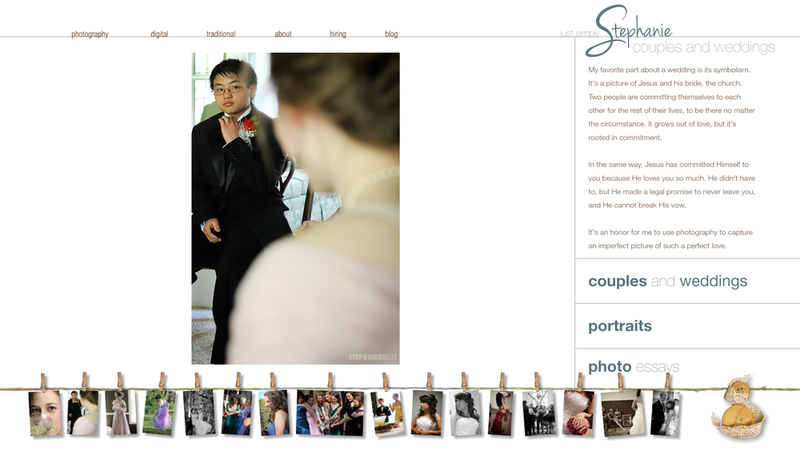 At this point I knew I wanted my website to be solely focused on wedding photography, so things are a bit more focused. I also created a slightly nicer logo for the "just simply stephanie" brand. 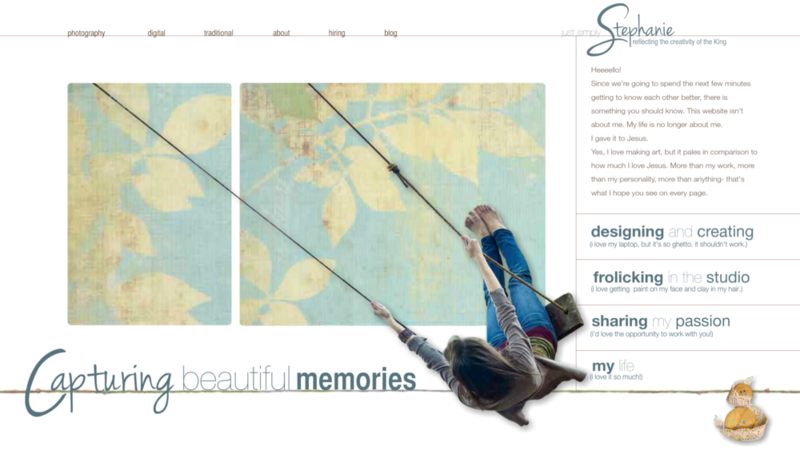 I wanted my website to have a vintage/rustic/feminine feel, thus the twine and tan colored background. I also loved the concept of the sliding sidebar and the pop of bright green. It served me well, and I kept this website around for quite a while. 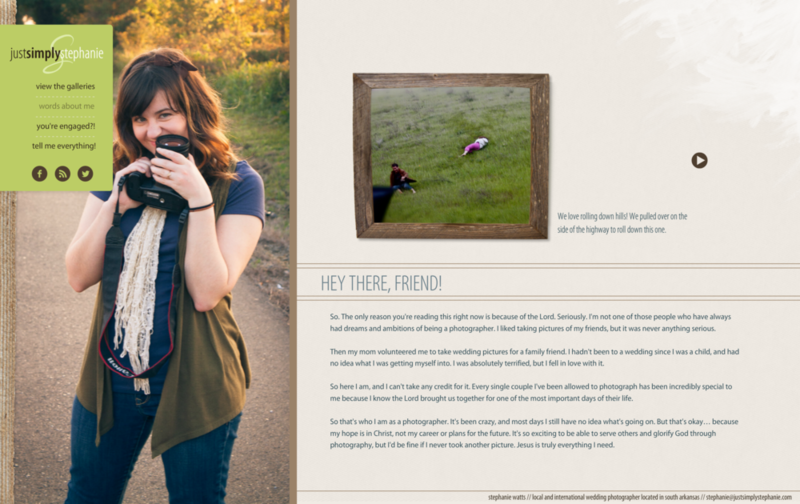 When I became a full-time photographer in May, I updated my website to have a more clean, subtle feel. The colors became more muted and everything was aligned in a more thoughtful and simplistic manner. Although I still really like the design and tone of this site, I started to feel that it was a bit heavy for my brand. If that makes any sense at all. I knew that I wanted my images to be front and center, without any distracting design elements taking your attention away from the imagery itself. So I began working on a new website for 2014. My goal was to focus on my work itself while still maintaining the feminine, clean, and timelessness of my brand. Instead of a scrolling gallery, I chose to go back to the classic one-image-with-forward-and-back-buttons approach. I felt that this encouraged each photograph to be looked at individually and pondered, rather than just scrolling through quickly and seeing everything at once. ...As well as documenting where I've been and my love for travel. 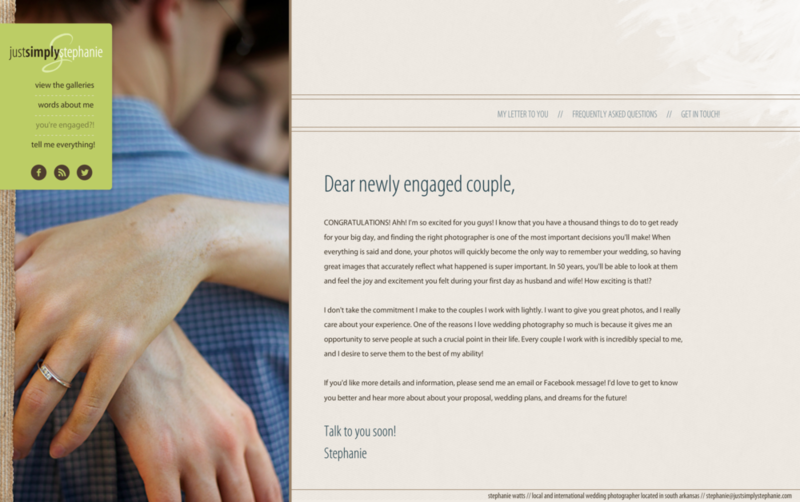 Finally, the "contact" page has been re-designed to be a bit less quirky and fun, and a bit more classic and thoughtful. It's been so fun and rewarding for me to look back over the evolution of my branding online over the past two years! I truly feel like I've grown to understand who I am and what I'm about, and it's exciting for me to see this visually through the way I present myself online! It's been a really fantastic journey, and I'm so SO excited to see how things continue to change and grow for my business over the coming years! Also, thank you SO MUCH for your continued support and encouragement... just the fact that you're here and you're reading this blog means the world to me, and I absolutely could NOT do what I do without you. So from the bottom of my heart. Seriously. Thank you. 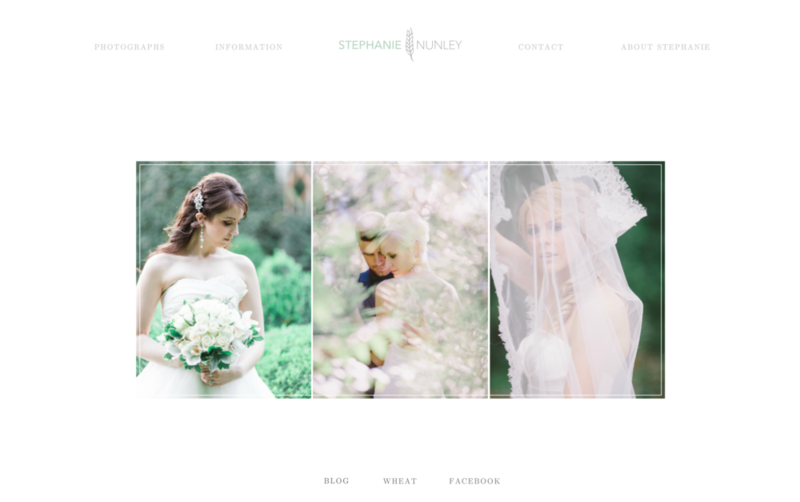 If you want to see my website in action, feel free to head over to stephanienunley.com!